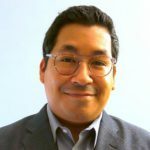 Greg Acevedo’s work has focused on the transnational connections and political, economic, and socio-cultural well-being of Puerto Ricans and other Latinx groups in the United States. His scholarly work is interested in tackling policy issues such as poverty and global migration and how they relate to globalization and neoliberalism. His work underscores how macro level issues manifest themselves at the level of community, particularly communities that have experienced long-standing marginalization. These macro level issues have profound implications for the social and economic well-being of Latinx communities and the nature of social work practice. 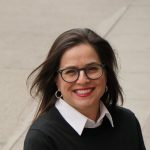 Sameena Azhar has more than 15 years of clinical and research experience in the fields of mental health, substance abuse and HIV. For her dissertation research, Sameena conducted a mixed methods study, examining the intersections between HIV stigma, gender and depression among cisgender women and hijra/third gender people living with HIV in Hyderabad, India. 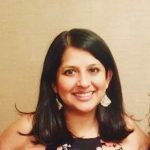 Her research has been funded through the Council on Social Work Education’s Minority Fellowship Program, the University of Chicago’s Center for the Study of Gender and Sexuality, the Foreign Language and Area Studies Fellowship (Urdu) through the U.S. Department of Education, and Ford Foundation. Elizabeth Cornell supports initiatives for digital scholarship at Fordham University and serves as the director of communications for Fordham IT. 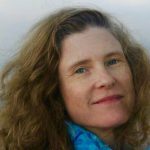 She is a collaborating editor for the Digital Yoknapatawpha Project at the University of Virginia, which offers new views of William Faulkner’s works through digitized maps and timelines. She has published essays in South Central Review, Mississippi Quarterly, the Journal of American Studies, and elsewhere. Elizabeth serves on the steering committees for the Fordham Digital Scholarship Consortium and NYCDH. She is also creative consultant for Live Source Theatre Group’s dramatic adaptation of William Faulkner’s novel, As I Lay Dying. 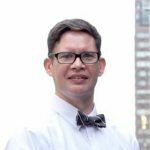 Gregory T. Donovan is the co-coordinator of the Digital Scholarship Consortium as well as an affiliate faculty member of the New Media and Digital Design Program and Urban Law Center at Fordham University. His scholarship explores the mutual shaping of people, place, and digital media, and how to reorient such shaping toward more just and meaningful publics. He is co-editor of JITP Issue 5: Media and Methods for Opening Education and currently working on his monograph, Canaries in the Data Mine: Understanding the Proprietary Design of Youth Environments. 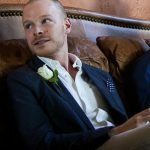 He received his Ph.D. in Environmental Psychology with a doctoral certification in Interactive Technology and Pedagogy from the CUNY Graduate Center. Tierney Gleason has worked for over a decade in the nonprofit sector for progressive social change before shifting the course of her activist career towards librarianship. 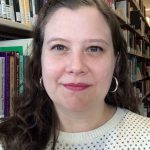 A graduate of the Dual Degree Mentoring Program, a partnership between New York University and Long Island University to train scholar librarians, she earned an MA in Irish and Irish American Studies from NYU and an MS in Library and Information Science from LIU. She completed her BA in Women’s Studies at the University of Massachusetts in Amherst. Barbara E. Mundy specializes in the art and visual culture of 16th century Mexico. With Dana Leibsohn, she co-created Vistas: Visual Culture in Spanish America, 1520-1820. Her recent book, The Death of Aztec Tenochtitlan, the Life of Mexico City (Texas, 2015) was awarded the Bryce Wood Book Award from the Latin American Studies Association, and was recently published in Mexico as La muerte de Tenochtitlan, la vida de México (Grano de Sal, 2018). Her work has been supported by the National Endowment for the Humanities, the Center for Advanced Studies in Visual Art at the National Gallery of Art, and the John Carter Brown Library. Jacqueline Reich is the author of The Maciste Films of Italian Silent Cinema (Indiana UP, 2015) in collaboration with the Museo Nazionale del Cinema in Turin, Italy, and Beyond the Latin Lover: Marcello Mastroianni, Masculinity, and Italian Cinema (Bloomington: Indiana UP, 2004). She is also co-author, with Catherine O’Rawe, of Divi. La mascolinità nel cinema italiano (Donzelli, 2015) and co-editor with Piero Garofalo of Re-viewing Fascism: Italian Cinema, 1922-1943 (Bloomington: Indiana UP, 2002). 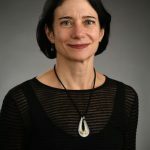 At present, she is co-director, along with Kathleen LaPenta-Long, of the Bronx Italian American History Initiative, a digital oral history project, and also serves as Interim co-coordinator for Fordham’s Digital Scholarship Consortium. Ralph Vacca explores how design constructs identity and shapes social change in U.S. culture. He studies how media and technology are designed and reimagined by marginalized groups, with a focus on design for promoting emotional health and education.